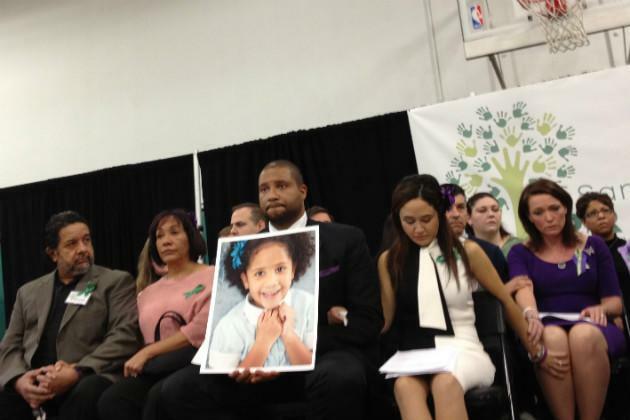 NEWTOWN, Conn.—Exactly a month after the massacre at Sandy Hook Elementary School, dozens of teary-eyed family members, many clutching framed photos of their slain children, gathered in the basement of the town hall on Main Street to announce the launch of Sandy Hook Promise. The group's mission is to promote a national dialogue on gun violence, mental health and school safety—and to honor the 26 school shooting victims with a promise of "real change." "Doing nothing is no longer an option," noted Tom Bittman, co-founder of the initiative and a resident whose children once attended Sandy Hook School. "We want to Newtown to be remembered for change, not tragedy."